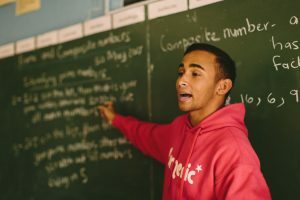 Numeric offers interested sponsors the opportunity to make a significant difference in the numeracy of young South Africans. All donations to Numeric are tax deductible and donors will be issued with a Section 18A tax certificate. Contributions made by companies constitute socio economic development spend in terms of South Africa’s 2013 black economic empowerment (BEE) codes and companies are eligible to receive BEE points for contributions made to Numeric. Please email proof of payment to donate@numeric.org in order to obtain your Section 18A tax certificate. US-based donors can now make tax-deductible contributions to Numeric. We have established a Friends of Numeric fund through the King Baudouin Foundation United States (KBFUS). Because KBFUS is a public charity, within the meaning of Sections 501(c)(3) and 509(a)(1) of the IRC, donors may claim the maximum tax benefits allowed by U.S. tax law for their contributions. If you wish to support us, please visit here. For donors who wish to donate from outside South Africa, you can use either a credit card or PayPal account. Please click the donate button below and follow the instructions to use either of these options.